The Jonard ASW-R716 chrome vanadium steel ratcheting speed wrench has a 7/16" opening and is used to tighten and loosen hex-head nuts and bolts, and F-type connectors. The ratcheting box end has 12 points of contact for use with F-type connectors on splitters and all other 7/16" connectors. The speed wrench is constructed of chrome vanadium steel with a high-gloss finish to provide durability and wear resistance. The wrench is 6-1/2" long. Speed wrenches have a notched head to speed applying the wrench to the workpiece. 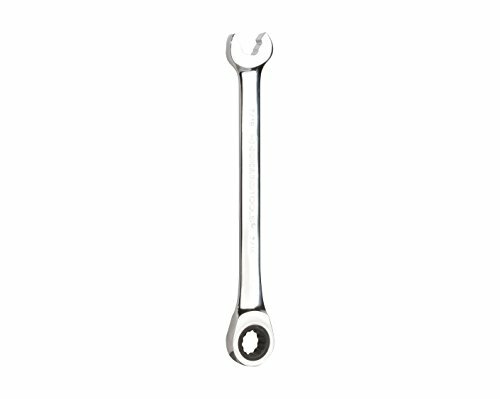 Ratcheting wrenches have a built-in ratcheting mechanism to speed tightening and loosening. The open end provides access to areas requiring long access points.